As international students arriving from a different city, culture, and background, it came as a shock to see first-hand the prevalence of food wastage in New York City. It has become a normal part of daily living in the city, despite the knowledge that there are millions of people all over the world who are fighting through each day just to have meals. As part of an academic project, the team probed into why people waste and throw away food. 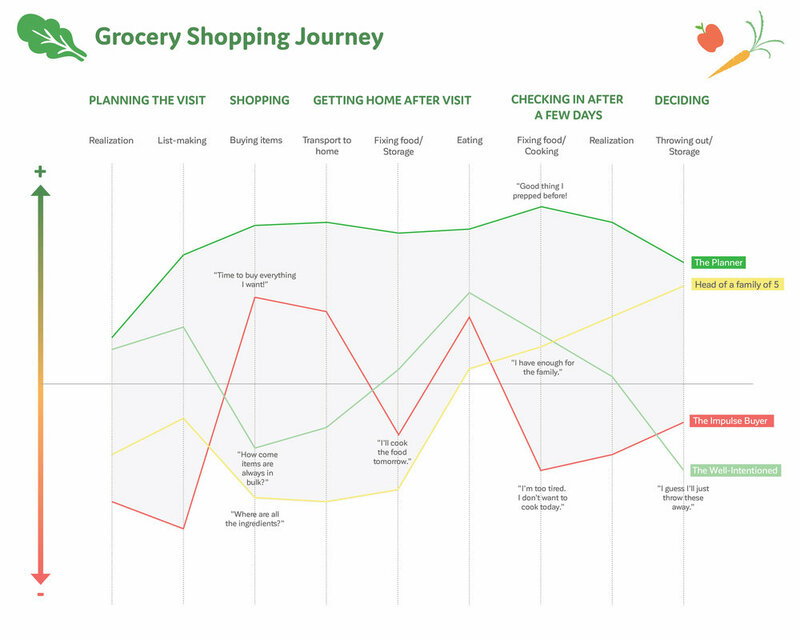 We then developed a tool that helps people plan their meals based on their preferences and schedule and learn more about alternative ingredients and the shelf life of food. We started looking at news reports and projects that related to reducing food waste. 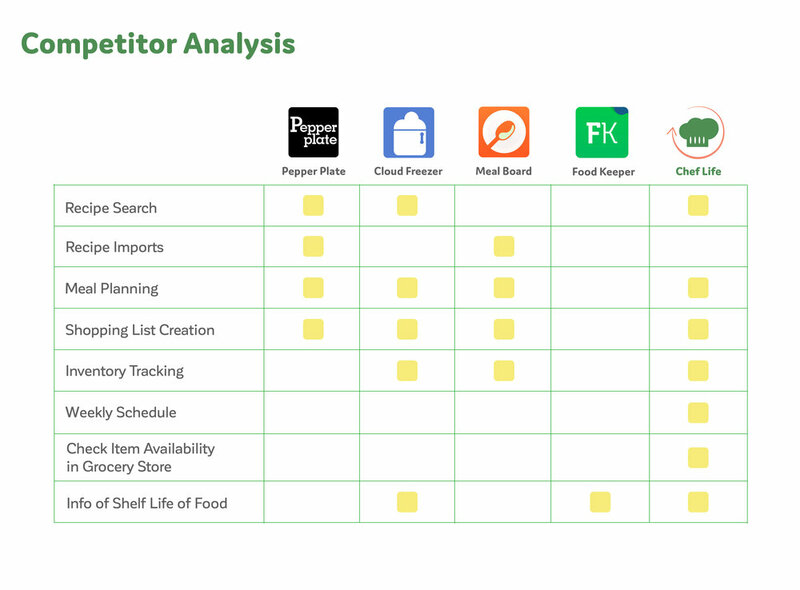 We also looked into the existing applications, tools, and services that involve food preparation. 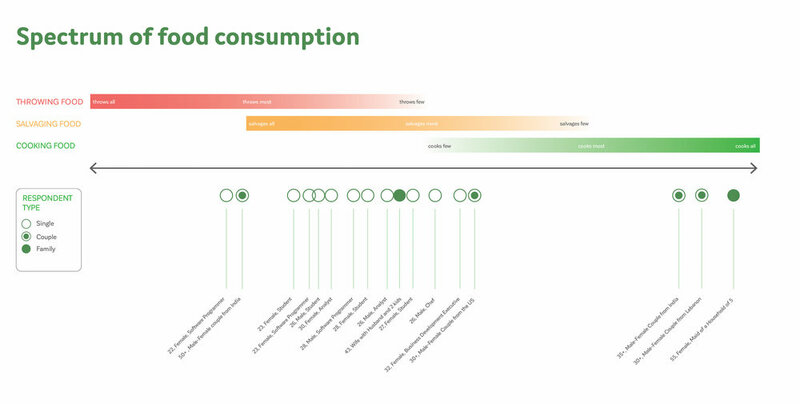 We reached out to individuals living in the city to understand the food consumption and saving habits. We talked to young professionals living alone or with roommates, couples, and families. We also talked to individuals who prepare meals such as chefs and house helps. We probed on their cooking habits, eating habits, and on their general perception on food wastage and the ways they try to avoid it. 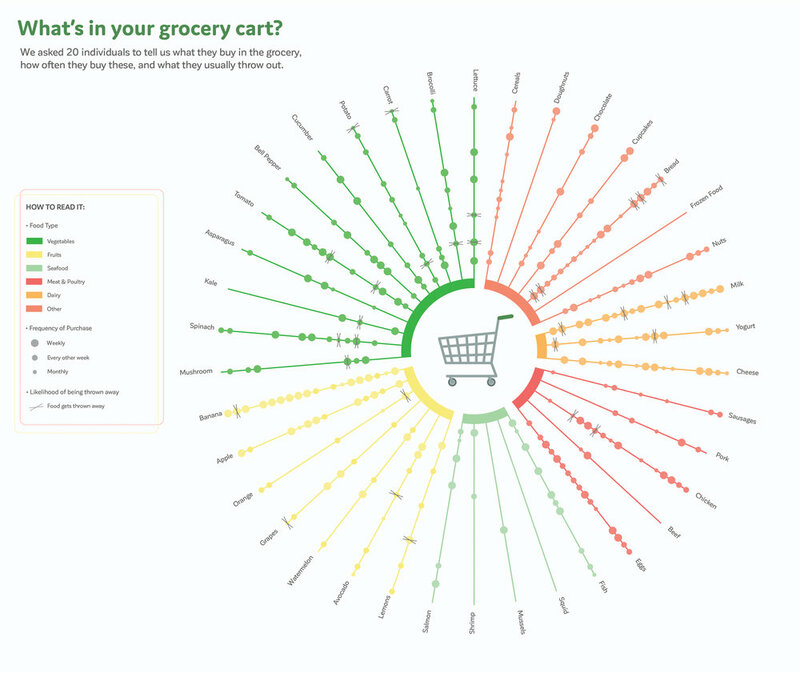 To further understand what goods people usually buy, we did intercepts where we asked people what they would usually put in their carts every time they do grocery. We went to restaurants to observe people’s behavior regarding leftover food and to-go containers. We visited groceries to see how these establishments try to recover and resell goods that are past their sell-by dates. We also went to local market fairs to understand how owners try to practice food sustainability and prevent food waste. LACK OF PLANNING AND KNOWLEDGE ABOUT THE SHELF-LIFE OF FOOD LEADS TO FOOD WASTAGE. People throw away food when they know they will be away or don’t think they can cook a meal with them. People are unsure about what meals to prepare with leftover goods and tend to throw goods when they know they can’t eat the meal/goods in the coming days. People feel trapped with the large packs by groceries. Groceries sell food items in big bulks, prompting consumers to buy more than what they could consume. 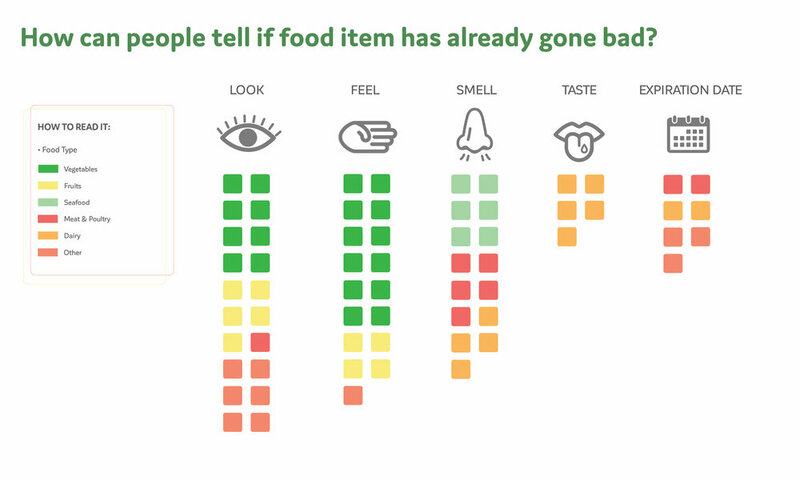 People are unsure about the shelf-life of goods and use visual cues to judge whether food has already gone bad. For fresh goods, people believe that an usual and slight black spot is a good sign that something should already be thrown away. 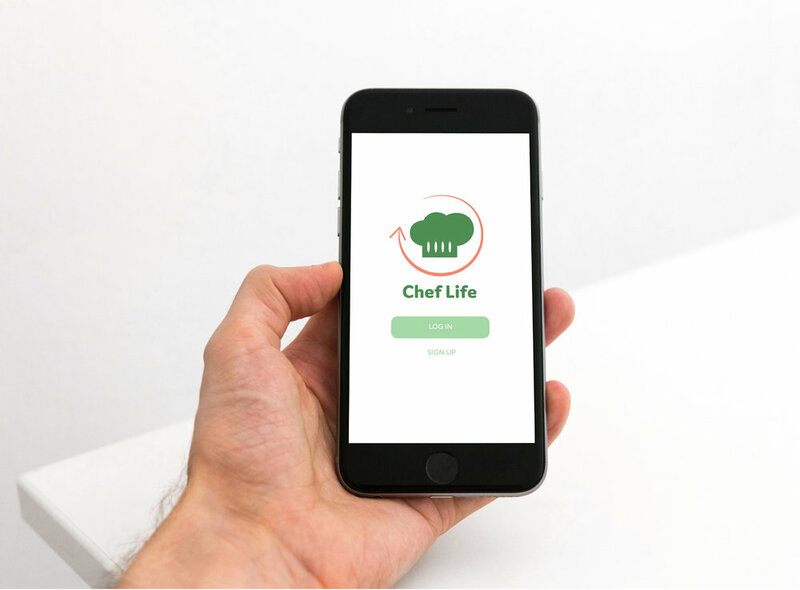 Chef Life is a platform that helps people plan and order their meals based on their weekly schedule. The platform guides individuals in thinking about the meals they will have at home and provides suggestions on portions and meals that they can consume and finish given their schedules. 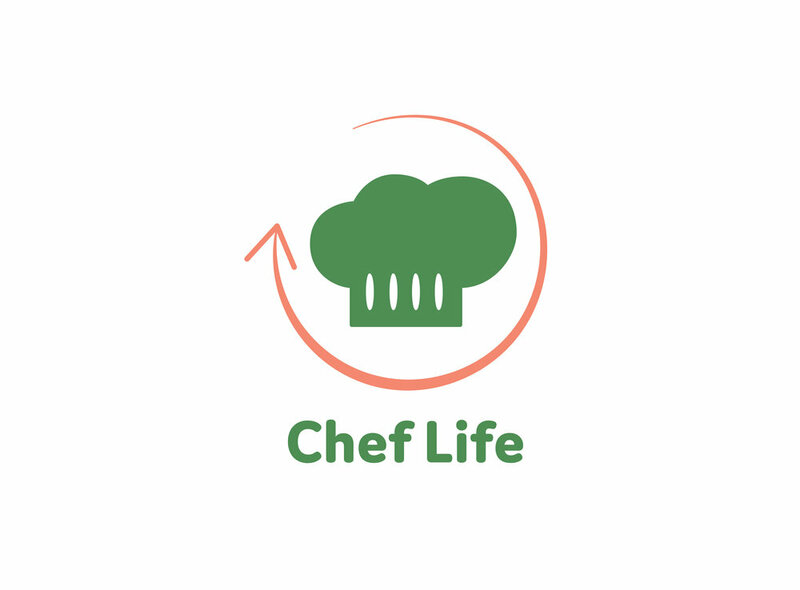 Chef Life also helps individuals whip up meals with the food items and leftover ingredients they have at home. With the Chef Life Bible, individuals can also check the shelf life of food items and discover ways on how to store and prolong their lives.